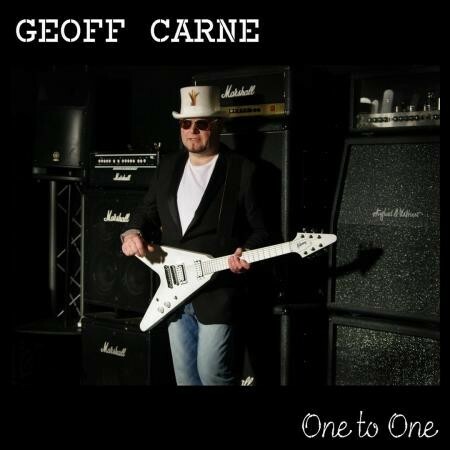 So here's the thing, the blurb that came with Geoff Carne's album 'One To One' has this line in it: "the album is aimed at attracting more women to the music in a male dominated genre... have been specially crafted to appeal to the ladies". Now I'm not known for my rampant feminism, I'm just a tomboy into Rock and Blues, but excuse me, is this a bit patronizing or what? Wondering if I was being "overly sensitive", I ran the statement by a few male friends; their response was a unanimous..."is he mad!" So first, a note to his PR people, you might want to rethink your marketing strategy as you seem to have successfully pee'd off the market you were trying to tap into. However not one to bear a grudge I give this a listen, attempting to be as open-minded as possible under the circumstances. 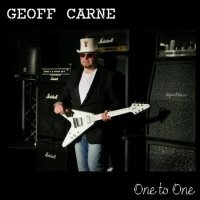 Carne cites his influences as Whitesnake and Bad Company and if you listen close enough you can hear this. This is Blues in its mildest form at the point it crosses over to AOR. Opener 'Back On The Road Again' is a nice strummy Blues number to ease you in. The songs are well constructed, albeit a little predictable, and Carne's voice, although not distinctive, is mellow and suits the songs well. Oddly one of the "songs for the ladies" is one of the heaviest, that's 'Baby Blues (All Roads Lead To You)'. All in all this album isn't bad (my biggest criticism would be the lyrics, they are a bit predictable) but personally I like my Blues a bit more down and dirty, but if you like yours "lite" then this would be a great addition to your collection.